In this volume, Usagi teams up with fan favorite Inspector Ishida, helps an allied clan protect its honor, discovers how deadly the soy sauce business can be, and more! Features "Two Hundred Jizo," Usagi's two hundredth consecutive issue drawn by Stan Sakai! 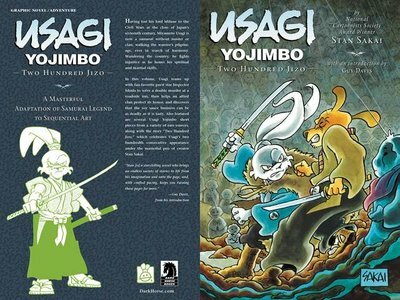 Collects Usagi Yojimbo #139-#144, plus three additional, previously uncollected stories: "Buntori," "The Artist," and "Sukanku"!